I recently saw a couple of fairly interesting Mexican horror films and these are my brief impressions (click on the screen-caps to see them in a more appreciable size). The Book of Stone (1969) carries the echoes of an MR James story with its premise of ancient evil and suggested rather than depicted horror. The titular book is seen in the hands of the garden statue of a boy. The statue becomes the issue of concern for recently shifted wealthy house-owner Eugenio (Joaquin Cordero) when his only child Sylvie (Lucy Buj) shows an obsessive interest towards the stone boy, whom she calls her friend 'Hugo'.Eugenio is so concerned he hires an expert governess Julia (Marga Lopez) to take charge of the child. For a long time, the film does not stoop to display any overt horror elements and instead presents a very plausible background for the child's obsession. Sylvie has no companions of her own age and is seriously upset over her father's remarriage. She lives then in her insulated world, 'Hugo' her only confidante. Bit by bit the story unravels, piling on one little disturbing incident after another, till it places itself firmly in the realm of the supernatural. 'Hugo' is revealed to have a sinister history and will resist all attempts made to uproot him from his pedestal. Even here, there is far more reliance on the play of light and shadow (cinematographer Ignacio Torres), and juxtaposition of circumstance than any elaborate flashy effect. The story is also to be appreciated for not painting its characters in flat tones. Sylvie and her stepmother may share a hostile relationship, but neither of them harbors any innate evil, and nor are any of the other characters porrayed like the stereotype victims of horror films that “ask for it”. While there are stumbles in execution and the film is simplistic as compared to Jack Clayton's masterpiece The Innocents, this is still an interesting enough entry in the classic horror segment for genre fans to give the look see. In fact, I wish I'd seen it when younger and less jaded, I am sure then The Book of Stone would have left me 'petrified'. 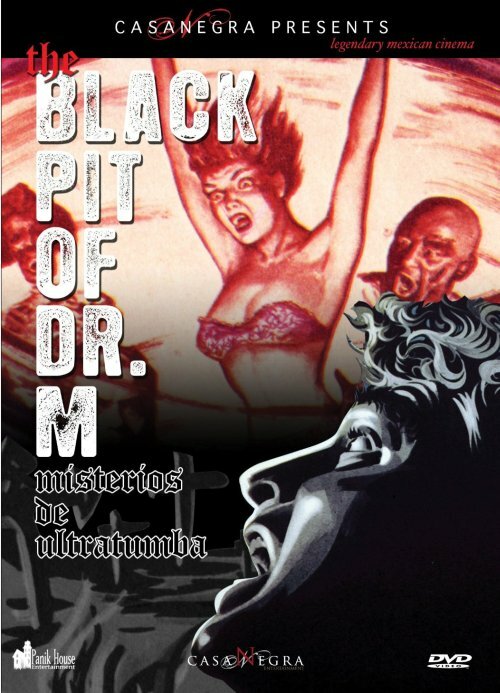 If Book of Stone was MR James material then 1959's Black Pit... (the original title is literally translated as Mysteries of The Grave) surely owes some of its flavor to that master of the sepulchral, Edgar Allan Poe. Like a classic Poe protagonist, Dr. Masali is eager to know what lies in the after-life, and to this end he compels his dying friend Dr. Aldama to “arrange” for him to transcend the boundary between life and death, and then return to the flesh. A seance conducted after Aldama's death reveals to Masali that at a specified time, a series of events will precipitate that will grant him his wish. As any fan of the horror genre will know, such wish fulfilment does not occur without its heavy price, and the realization by Dr. Masali of the price he must pay for forbidden knowledge forms the rest of the film's arc. Black Pit carries all the features of the gothic horror tale – it fuses its macabre element with romance and melodrama, and its striking use of shadow-play (Victor Herrera) creates an undeniable atmosphere for the viewer. Even the low-budget production values and sometimes overwrought plot elements create a theatrical ambience that adds to the film's appeal, like with some of the classic Mario Bava gothic horrors. Rafel Bertrand's portrayal of the obsessed Dr. Masali is in perfect sync with the Poe-inspiations of the screenplay and the film should definitely be checked out by enthusiasts as a worthy experiment in horror from Mexico. 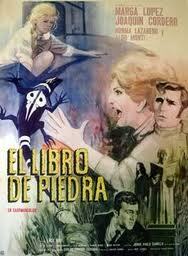 I've seen El Liebro Da Piedra; I think your review is spot-on. I'm going to be watching Hasta El Viento Tiene Miedo, another film by the same director,Carlos Enrique Taboada , sometime this week. Interestingly, both films have been remade in recent times. I'm definitely going to look out for Misterios de Ultratumb and I've mentioned elsewhere, Venenos Para Las Hadas is another Mexican horror film worth watching if you liked El Libro De Piedra.